The Kuwait News Agency recently published a list of journalism training courses that will be held in Kuwait City throughout 2010. Germany's International Institute for Journalism (IIJ) will host a ten-day training for journalists in West Africa titled "Media's Role in Conflict -- Transformation and Peace Building." Journalists from print media, news agencies, and online publications are welcome to apply. Experienced and skilled broadcasters in Pakistan are invited to a "Training the Trainers" workshop in Karachi that will offer practical learning opportunities to plan, conduct, evaluate and modify training in broadcasting organizations. Applications are being accepted for the 2010 programme for Balkan journalists, 'Economic and Political Reporting from Southeast Europe' jointly run by Robert Bosch Stiftung and Thomson Reuters Foundation. 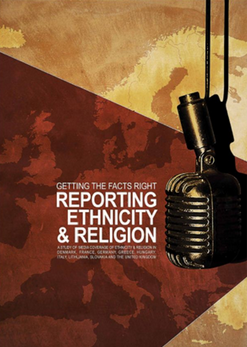 To foster quality analysis and reporting on economic issues, enhance coverage on topics that are central to the region’s economic and political development and encourage regional networking among journalists, the Robert Bosch Stiftung and the Thomson Reuters Foundation initiated the programme 'Economic and Political Reporting from Southeast Europe' in 2007. Journalists and editors of print and online Ukrainian regional media are invited to trainings on media convergence. Deadline for applications for journalists: February 5; for editors: February 12. During the courses, which will take place in Kyiv, students will learn to create high-quality materials for convergent media. Travel fare and accommodation will be paid by the organizers. A two-day training course on covering hunger and poverty is available to journalists in three African countries, and will be held in Tanzania from November 24 to 25, in Botswana on January 19 and 20 and Malawi on January 26 and 27, 2010.